You can get a nice, clean shave that leaves your face feeling smooth with a quick, easy-to-make recipe. Follow up your shave with DIY after shave and/or beard balm. They’re made with all-natural ingredients that moisturize and soothe your skin, and leave you smelling fresh with the addition of essential oils. Fractionated Coconut Oil absorbs easily into the skin and doesn’t clog the pores; leaves your skin feeling smooth, not greasy. Almond Oil is a great all-purpose carrier oil that is great for dry skin and is enriched with Vitamin E.
Jojoba Oil provides your skin and hair with nutrients; its anti-inflammatory properties soothe irritated skin. Argan Oil revitalizes and moisturizes skin, is a powerful anti-oxidant, UV protector, and free radical neutralizer; it can help reduce the appearance of wrinkles. Lavender Essential Oil—the go-to oil for almost anything and everything. It restores skin complexion and reduces acne, slows aging with powerful antioxidants, and improves eczema and psoriasis. Tea Tree Essential Oil—promotes healthy skin, helps with redness, swelling, and inflammation, treats acne and leaves your skin smooth and clear. Frankincense Essential Oil— a powerful astringent; protecting skin cells, helps prevent wrinkles and acne, and lifts and tightens skin. Lemon Essential Oil—tightens pores and saggy skin, works well on oily skin and helps with acne; reduces the appearance of wrinkles and gives the skin a nice, shiny glow. Peppermint Essential Oil—refreshing, soothing, energizing, and invigorating. In a double boiler, heat and melt 1 tablespoon each of coconut oil and cocoa butter. Remove from heat. Add 1 teaspoon of almond oil and 6 drops of your choice of essential oil(s). Cool for 10 minutes. Add 1 tablespoon of baking soda. Cool to room temp. Using a blender or mixer, whip the mixture for a few minutes until it’s the consistency of shaving cream. Apply and shave. Put the rest in a container for later use. In a 2-ounce lotion bottle, combine 1 ounce of witch hazel, ½ teaspoon each of almond oil and vegetable glycerine, 3 drops of Vitamin E oil, and 10 drops of essential oil(s). Fill the bottle with purified of distilled water. Put the lid on and shake it up. Squirt a dab in your hand and apply. In a 2-ounce spray bottle, combine ¼ teaspoon of vegetable glycerin, 1/8 teaspoon of jojoba oil, 3 drops of Vitamin E oil, and 15 to 20 drops of essential oil(s). Add purified or distilled water halfway, then add witch hazel until the bottle is almost full. Cover, shake vigorously, and it’s ready to use. In a double boiler, melt 3 tablespoons of bees wax and ¼ cup of coconut oil over low heat. Remove from heat. Mix in 1 tablespoon of almond oil and 5 drops of essential oil(s). Pour into a 4-ounce jar. Let it cool and you’re ready to go. 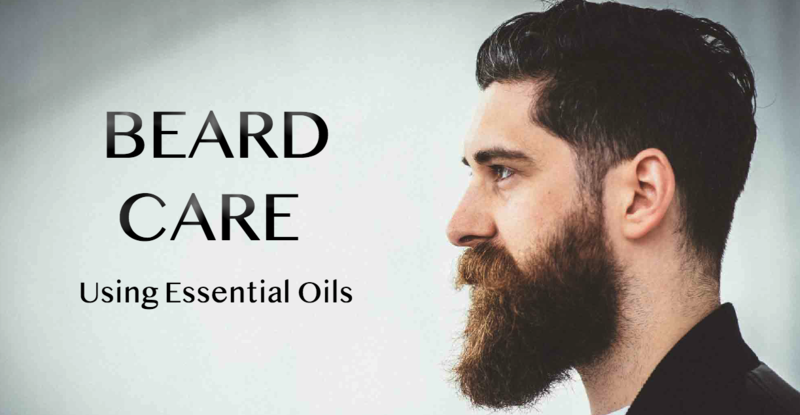 These recipes are all quick and easy with natural ingredients, so it doesn’t take long to create the ultimate essential oil shaving kit.